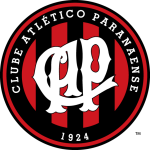 Atletico-MG are coming off after an important win by 1:0 against Sao Paulo at home and in this encounter they will seeking to continue with wins in front of own fans and I think they have enough qualities to do that tonight where they will host Atletico-PR. 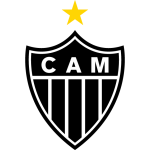 Atletico-MG at home this season so far have been impressive with 8 wins 2 draws and 2 losses where they have scored 20 goals and conceded 10 goals. Atletico-MG has highest average in Brazilian Serie A with 2.9 goals per match and surprisingly they have seen under 2.5 goals in their last 4 league games and in this encounter I think this will change and they will score goals here. Atletico-PR are in great shape recently in the league with 4 wins in their last 5 league games but in last round they got a defeat with result 2:0 against Palmeiras away from home a defeat that end their streaks from 7 games unbeaten and I think they will seeking to back to the positive results again and if they want to earn points they must score goals. Atletico-MG has won first clash in first half of the season with result 2:1 and I think they can repeat this even in this encounter and I think we will see at least 3 goals from both teams in this encounter. My pick for this match Over 2.5 goals at odds 2.10 with bet365.